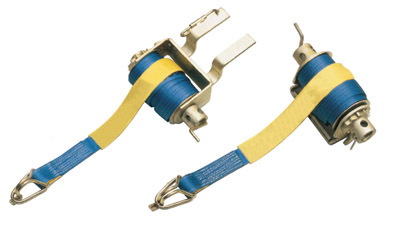 Supplied bare or fitted with webbing straps, the Global Truck Winches exceed the demanding needs for lashing. Available in Clip On, Slide On or Gate types. Replacement straps available in 9 metre lengths. Other sizes on application. Available in Swivel or Ratchet types in sizes 6mm to 13mm with eye grab or eye claw hooks. Zinc dichromate or durable enamel finish.